Brigadier General Amanuel Haile (aka “Hanjema”), Brigadier General Mebrahtu Tekleab (aka “Vaynak”), and Mr. Desu Tesfatsion were killed yesterday in a car accident on the road to Mahmimet. 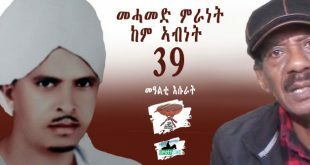 The three were en route to participate in the commemoration of the 30th anniversary of the Eritrean People Liberation Front’s (EPLF) victory over the Ethiopian “Wukaw Command” (wukaw iz) of 1984. Unconfirmed reports indicate that a fourth passenger, Brigadier General “Halibay”, was critically injured and is now being hospitalized. Hanjema’s last appointment was zonal chief of staff and deputy to the late Major General Wuchu in the Dankalia zone. Hanjema’s wife, accompanied by her daughter, has been in the United States for five months: her daughter is gravely ill and requires medical attention. She is now making preparations to return home. 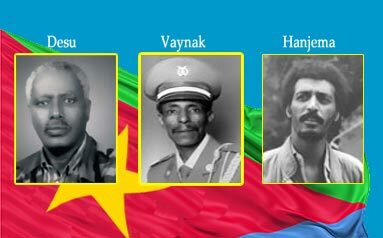 Vaynak, an established member of the EPLF’s fedayeen forces in the mid seventies, had participated in many operations in the cities when the Ethiopian Derg regime ruled Eritrea. In July 1977, Vaynak recruited members of the Ethiopian forces guarding Sembel prison in Asmara. With his team, he planned, organized, and executed a daring military operation that freed around 1200 Eritrean political prisoners from Sembel prison. Vaynak’s official appointment was the inspector general of the army, though his authority was increasingly limited by the regime. Desu was a close associate of Vaynak in the seventies when he lived in Asmara and was supporting the fedaeyeen by providing logistics such as information, preparing safe houses and transportation. He maintained his close friendship with Vaynak until their death. In fact, all three were close friends and neighbors and they were often seen together. Desu Tesfatsion was manager of “09” (Red Sea Trading Corporation, the ruling party’s economic arm) until he was charged with “corruption” by the ruling party’s “Special Court” and sentenced to 12 years in prison and 100,000 (nakfa) fine, despite the fact that the Auditor General had reviewed the financial statements of “09” and found no wrongdoing that warrants a 12-year prison sentence. In fact, almost all previous General Managers of “09”–including the late General Ogbe Abraha–have been found guilty of corruption by the regime’s Special Court, an extraordinary process that doesn’t give the accused due process and is presided over by judges with no legal training but use “common sense” as a legal standard. 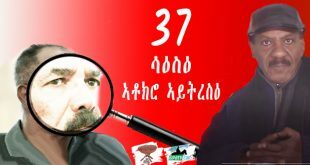 The Eritrean regime has dedicated this week as Wukaw Command Anniversary week and has been using the event as a means to galvanize the people to continue to support the policies of the ruling party, PFDJ. 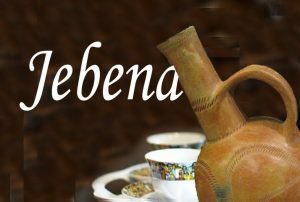 All you need to know is that we Habesha in Eritrea, do not hate our Habesha brethren in Ethiopia. The politics of the horn is sometimes beyond both our countries’ control. Safe passage for commercial maritime transport between Asia and Europe, the Arab-Israeli conflict and their desire to see a friendly government in Eritrea is always in the background. The main conflict between Eritrea and Ethiopia is about economic policy and regional security. You should know that even PFDJ does not like to see the disintegration and failure of Ethiopia, just an end to foreign aid (hopefully in the near future), a pan-african outlook and regional co-operation to avoid neo-colonialism. Stop the few privileged people like Al-Amoudi from buying up all the land and concentrate the wealth of the nation in their own pockets. 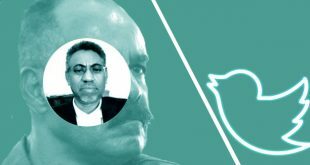 But PFDJ cannot expect EPRDF to change its economic policies, neither can EPRDF…by insisting on dialogue before implementing the final and binding border-ruling. Let us worry about PFDJ. About the refugees from Eritrea, send them back if they are causing you problems. Dear tafla, I don’t agree with your word “the habesha people” , but Tigrians in Ethiopia & Eritrea. For me, I would rather call/name in their natural term than shying away! The divided & rule that the European colonialists put in place is still working in Eritrea! 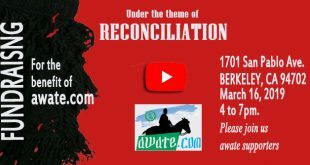 …even the border commission purposely give away Ethiopia’s torritories to Eritrea to reinforce their earlier evil creations to divide the people! Even the PFDJ doesn’t like the disintegration of Ethiopia? 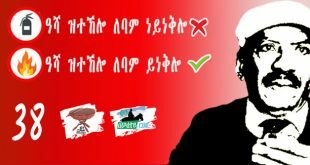 PFDJ has tried to disintegrate Ethiopia in everything possible, but failed in everyway! I don’t think you are foreign to what the PFDJ did in the last 12 years, in you are, then start with the Islamic court of Somalia -OLNF -OLF -alshabab…. Al amoudi is creating employment opportunity for hundreds if thousands of Ethiopian,billions of birr in taxes, hundreds of millions of dollars in support of Ethiopia’s development…! I don’t understand why you don’t want him in Ethiopia? Every rich country in the world is rich because of investments…! Singapore,China,India, Taiwan,…are where they are because of investments! Because of the fast growth in Ethiopia , cement consts was over 1500 birr,& Ethiopia used to import cement & sugar worth of billions of dollars, but thanks to the good will of Shaikh Al Amoudi, cement price is around 500 birr…Ethiopia produces its own cement…& sugar! By the way Ethiopia is building 10 huge sugar factories with its own money for export! I believe Ethiopia is doing well! 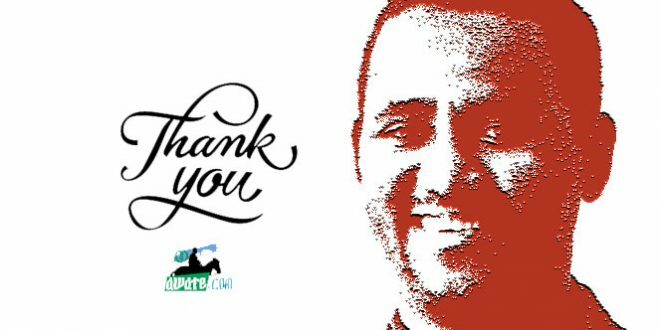 Al Amoudi is has established his companies on a land never been used, in some cases , individuals were compensated for their land & they are living a better lives now than ever , built a better house, opened a business…they thank Al Amoudi everyday! Al Amoudi is naturally a fair, caring , giving…man Ethiopia is blessed to have a son who blessed! You know every developed accepted foreign aide (grant & loan) to rich where they are now…therefore, Ethiopia is on the way to handle itself very soon! You know the border commission rule has a lot of wrong decisions! The border commission has no right to rule a binding decision! The legal process is: put their decisions on a map, proof it on the ground & correct if there are mistakes…so to solve the problem for good, but your leaders refused to sit & talk! Ethiopia gave its own natural sea outlet for the sake of peace, but there is no peace at the border! 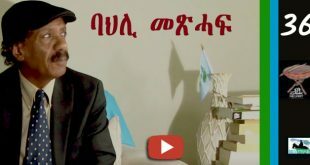 PFDJ doesn’t have a constitution… Not even Eritrean expect anything from PFDJ , let alone Ethiopia! From my perspective you guys aren’t talking about the real issues, but issues that don’t matter! Do you believe the border is the cause of the war? 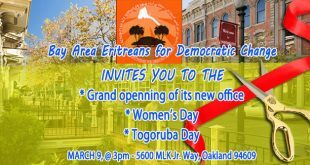 PFDJ overwhelmed you with its fabricated propaganda, so to confuse you from knowing the truth! What you think of the Eritrean government is irrelevant and vice versa what I think of the Ethiopian gov. Wiki leak is a system of the 21st century that western politicians use to confuse the world! It’s simply a new tool that they use at this moment! This isn’t a leaked document, but purposely leaked to make it as if it is true! Of course there are true leaked documents , & at the same time they make up things & leak it so to hit their target! Anyways , Ethiopia doesn’t have regime change policy against Eritrea! 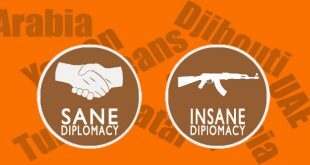 Tye Ethiopian gov knows well & good that there is no benefit in the so called regime change! What would happen after regime change? Not a good news! why would one wish the death of Elsa Churum. Followers of Esayas I just dont understand how dark f a brain you people have. 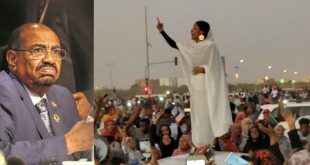 May Elsa live for ever and be the first real president of Eritrea. No Berhe, there was another one that the EPLF executed. But the first major ones were executed by the ELF: Adi Khuala and Sembel. Thank you Saleh for clarifying. I never heard about the EPLF one, specially if the number was as high as 1200. Wasn’t it ELF: Adi Khuala and “Tsetserat”? Not that it makes any difference but for clarity purposes. If i am wrong I will stand corrected. Could be, it is off my head. But it can be looked up easily. Google it to make sure. Can you clarify pleaseI thought it was ELF who released the prisoners. So if Vaynak’s organized, was he member of ELF at the time. Tthis is the kind of offensive language you should be able to block. 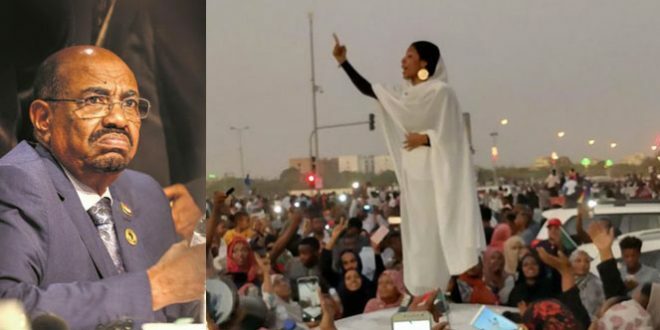 -if reallly,hagerawi,try to travel to Djbouti like the “weyane witch” did/has done and check things on person live about your Eritrean brothers suffering in the worst prison and brief us on the situation on this forum. For real though, if you do so, you wil join her in this hunger strike. I hope Elsa Chirum starves to death. She is a Weyane witch! SM, I think you need to cool off bro. When you lose your cool, you start losing your arguments. Most of us have never even had any contact with anyone belonging to TPLF let alone to be agents of TPLF. You do make good points quite often and stick to your defense of the Eritrean people and fighting the opposition for their luck of vision, that’s where you excel. If anyone gets on the nerves of the AT, that person must really be pushing the envelope because they are extremely patient. I have gotten away with a few things myself. In any case, for me personally, TPLF never comes to my mind ever unless someone specifically mentions the organization. You suspect there is some sinister movement here led by Haile et al. That’s far from the truth. Like I said before, most people here are quite well off. SAAY as a writer said that he could be writing celebrity news but his passion is with Eritrea and he is devoting his exceptional skills to his people, just one example. Haile, Emma, Hayat are here hours a day trying to figure out how to help their people. So SM, please debate people on their positions not on their motivations. We are all fighting day and night for the betterment of Eritrea, you included. TPLF is not on the agenda. They seem to be doing quite well on their own.